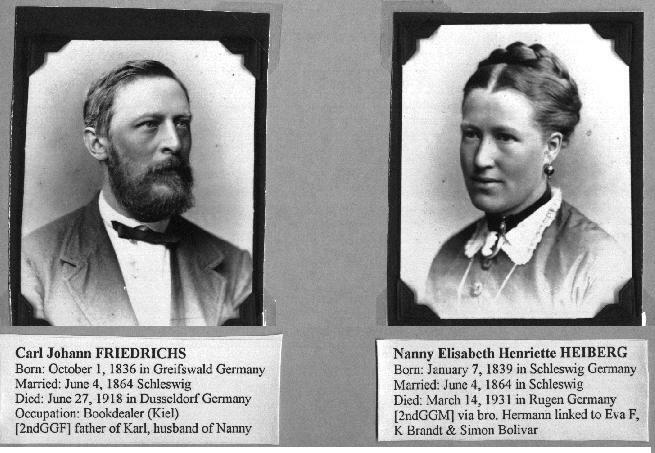 Margarethe and her husband "Altermann Luhde" to attend the wedding. 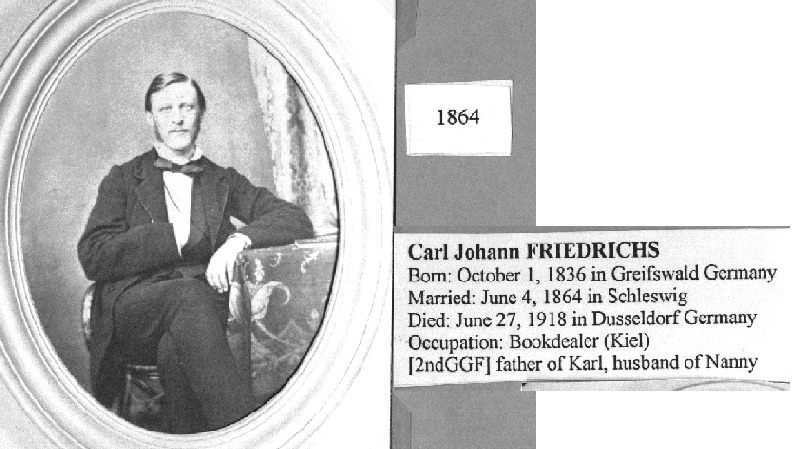 Ludwig and Minna had four children, Carl (4), my grandfather, Marie, Hermine, and Clara. however, was able to buy an estate. said that Minna did not allow Clara to get married; Clara should take care of her. during my stay on RÃ¼gen in that year. the University in that city. A year later Carl and Nanny got married (1864). degree " the story of the Heiberg family, which is quite involved and colorful.